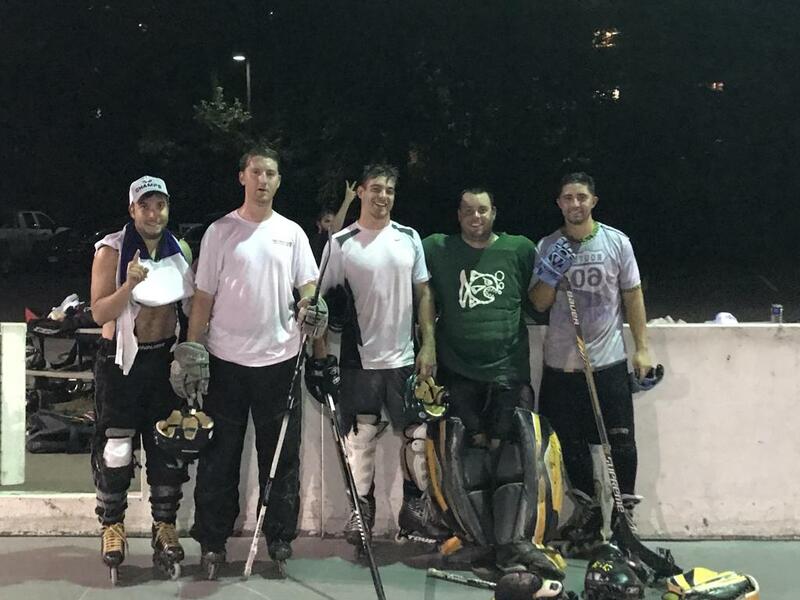 July 17th, 2018 - The Elite League wrapped up its season Monday night with the semifinal and championship games. The Concrete Donkeys handled the Convicts in their semifinal along with a Greg Leahy shutout, while the Hollywood Dream, playing ironman, held on against a hard late push by DC Bohemia to advance. The Dream, playing ironman for the second straight game, carried a 3-1 lead deep into the third period of the championship game, but the Donkeys clawed back, scoring twice in the final three minutes, with the tying goal coming with just 56 seconds left. The two teams went to overtime and traded chances the entire three minutes, until Mike Haring of the Dream scored on a 2 on 1 rush with just one second left in the overtime frame to win it by a final score of 4-3 (OT). MVP: Greg Leahy played in, and won, all three games in net. ©2019 Alexandria Roller Hockey League / SportsEngine. All Rights Reserved.